Imagine bathing in water that fell from the skies over 4,000 years ago. 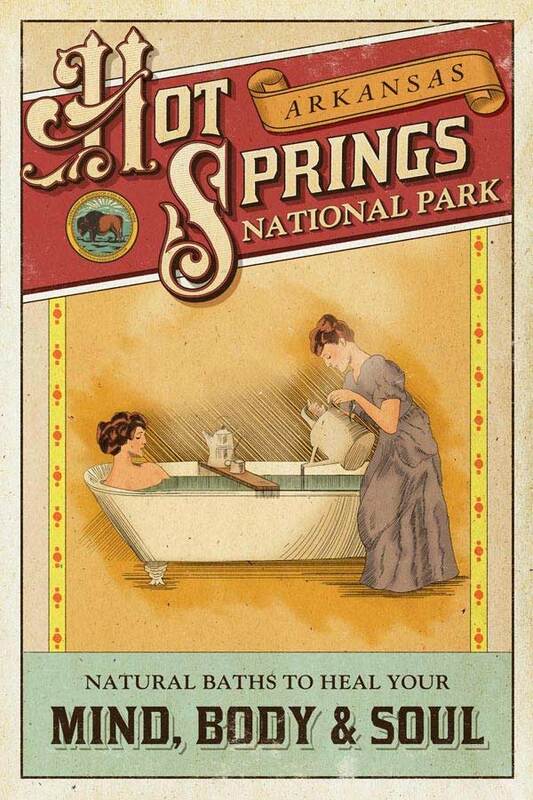 When you put it that way, the allure of Hot Springs National Park is even more fascinating. Never mind that it was a favorite destination of Al Capone, Babe Ruth and ladies of the highest ranks. The water alone is famous. We bathe the world. Those are words commonly spoken in America’s Spa, an area that has attracted all those in need of healing mind, body and soul. Finding inspiration for the second poster of our Centennial Poster Series was easy to do in the Hot Springs National Park visitor’s center. 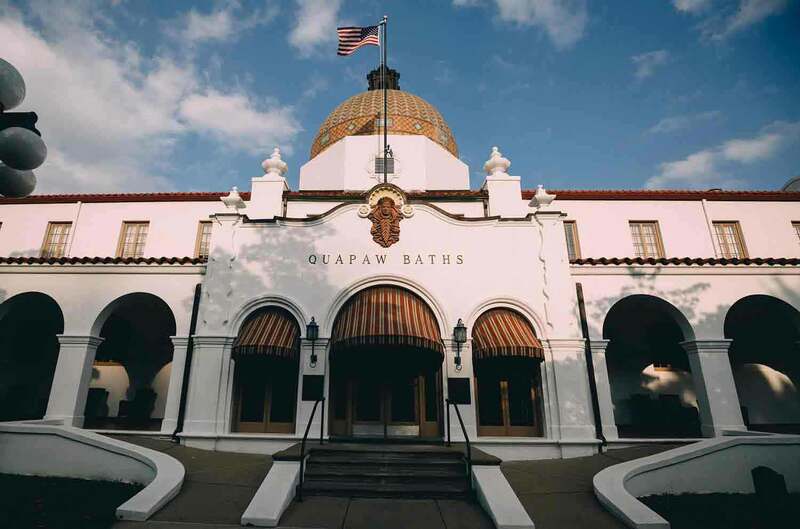 The former Fordyce Bathhouse is now a museum with all the old bathing rooms preserved to show visitors what the experience looked like. Cooling rooms, others filled with tubs, and even more filled with pipes, hoses and special tubs to give hydro treatments of hot steam and soothing mineral water. Gentlemen seemed to have a little more luxury with a vast room featuring a fountain in the middle and beautiful stained glass ceiling. As we wandered through the rooms, our imaginations ran wild. How amazing it would have been to see the fine ladies and gentlemen who came to the bathhouses of Hot Springs, socializing and taking part in health regimes that are still practiced to this day. Although the park features a natural area with trails, mountains and streams, it seemed to us the heart of this story is the healing water. Abundant historical displays depict days of old, showing how the famous bathhouses came to life in the 19th century. 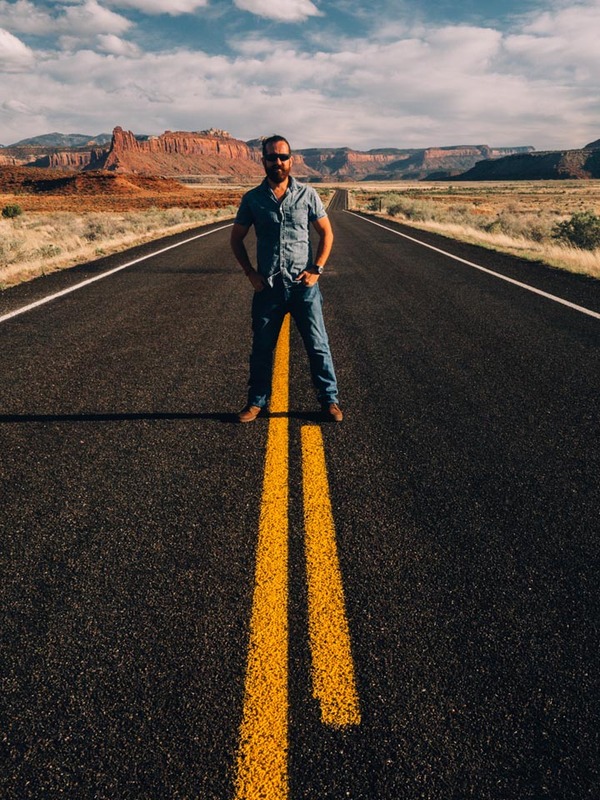 Much of the area was federally protected for decades before becoming a national park in 1921. 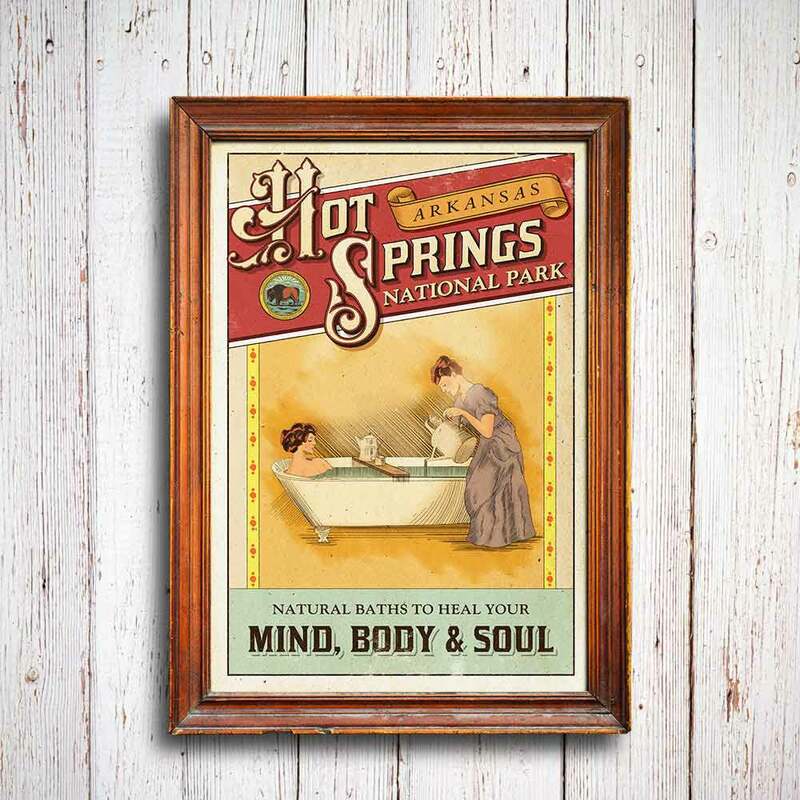 The poster features handcrafted typography and detailed illustration, designed in Hot Springs National Park. We celebrate this history with a display of bathing, showcasing an attendant tending to a lady who might have traveled from far away to experience the water. This scene is one of imagination, borrowing bits and pieces of history to weave together a poster that captures the essence of a time long gone. 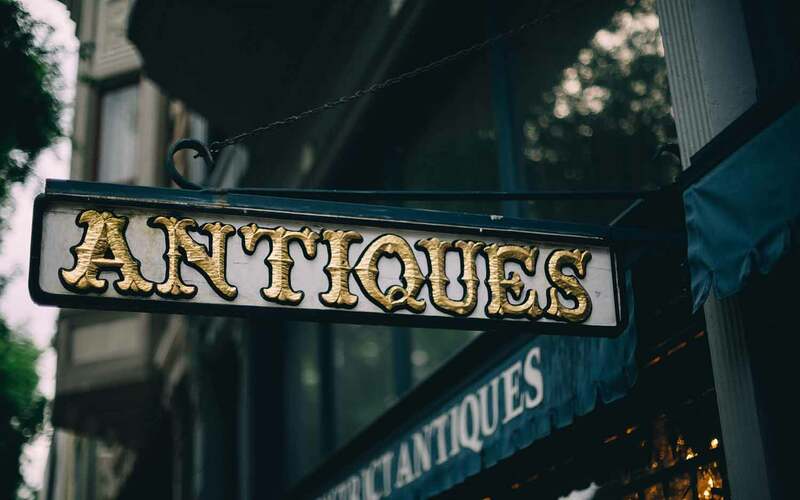 So many stories unfolded in the tiny town of Hot springs, and this image showcases just one nostalgic story using soft colors and etchings to replicate the feeling of that time. 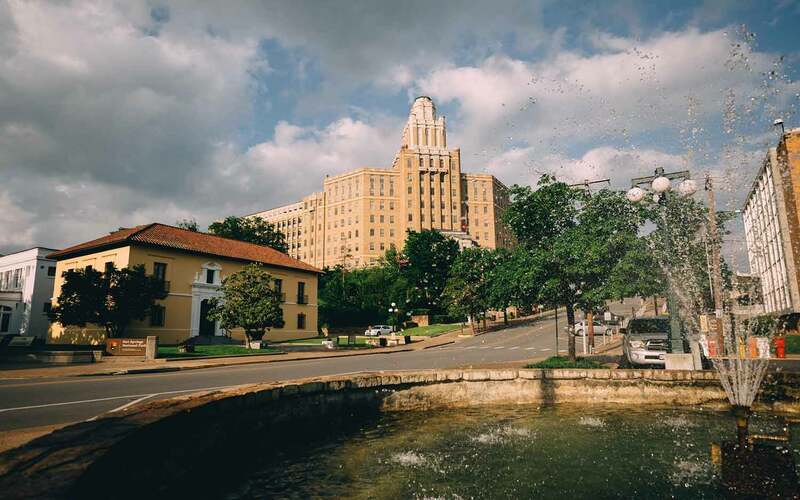 It’s easy to daydream in Hot Springs – maybe there’s something in the water. Whether you drink it, bathe in it, or simply feel the steam, there are plenty of ways to find healing. The town is no longer what it once was, but it feels like an open storybook with many chapters, beckoning you to explore. Between worn buildings with faded signs there are well maintained hiking trails and preserved bathhouses that still invite folks from all over the world. 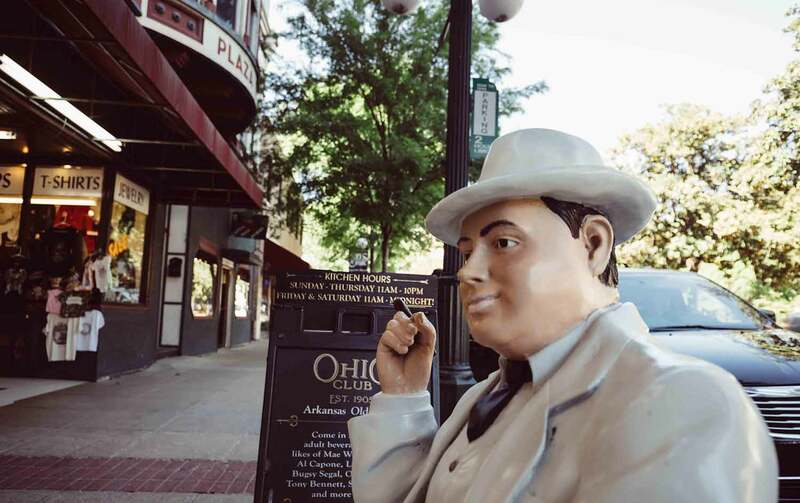 Signs of the old days are abundant on Central Avenue, where the visitors center is located. 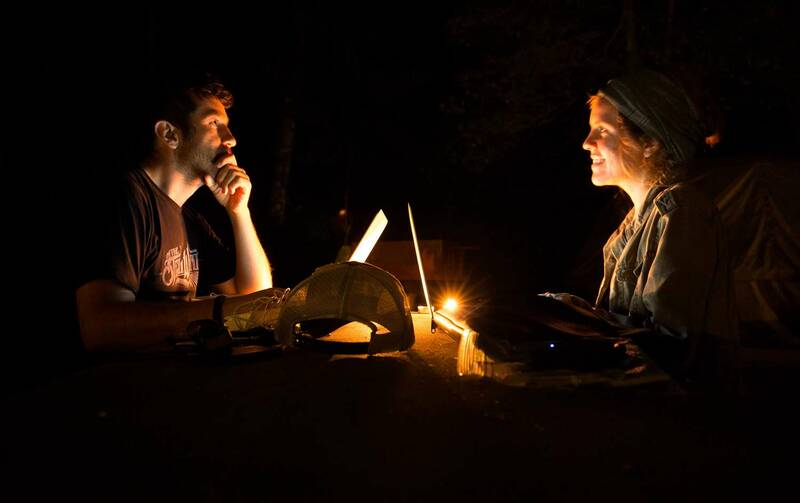 Working in the evening by candlelight, a nostalgic moment. You can check out the print at our shop Hike & Draw, and enjoy it knowing it was fully illustrated in the park. We’re excited to give 10% of all purchases back to Hot Springs National Park in support of their education and preservation efforts.